Sometimes you want to raise the work up to a more comfortable height. 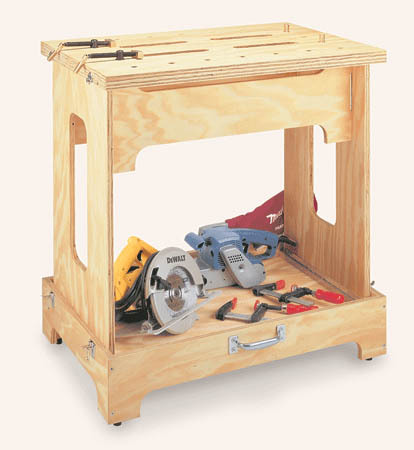 This benchtop add-on workbench is the perfect answer. 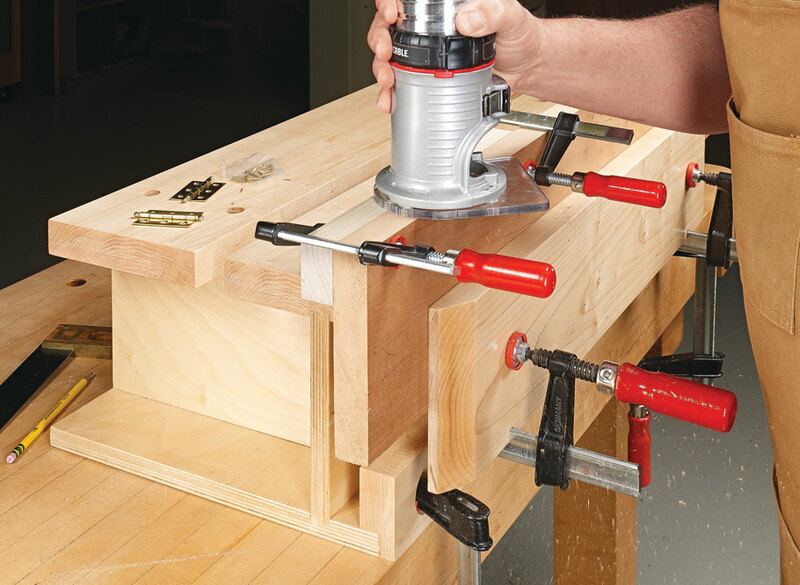 It features solid construction and offers a range of options to secure workpieces. 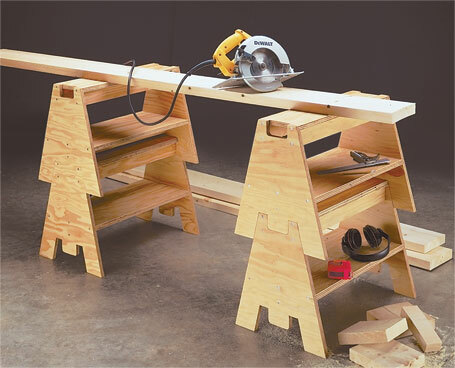 The two-piece top has a slot and wide overhangs on the sides to give plenty of places to clamp a piece flat on the worksurface. 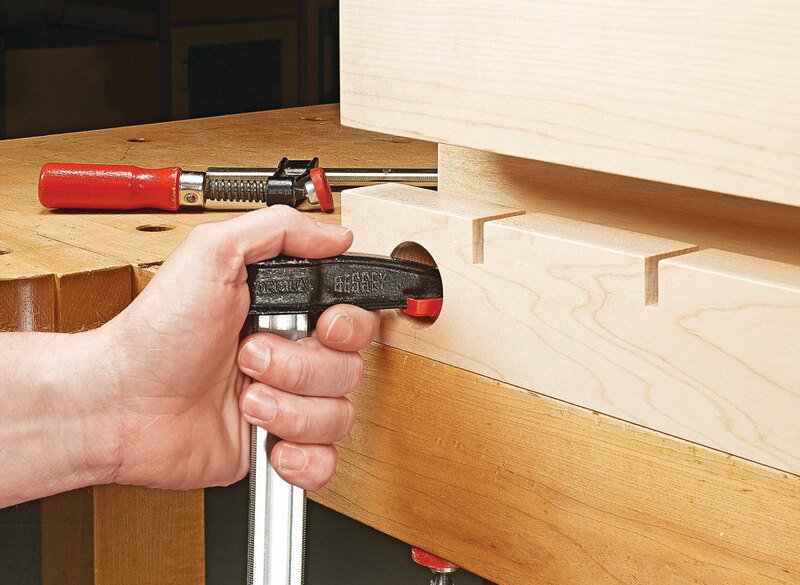 Another slot on the front of the bench creates access to clamp a part to work on its edges or ends. 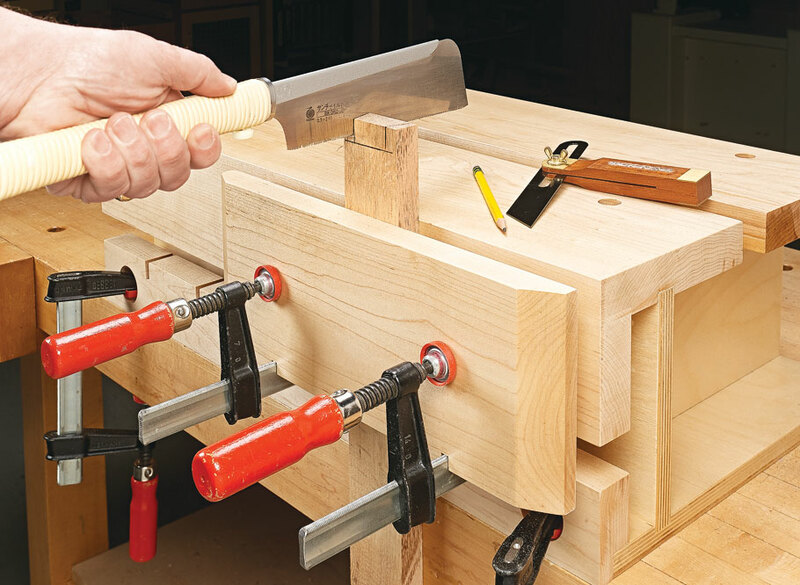 Two hardwood vise jaws spread out the clamping pressure. 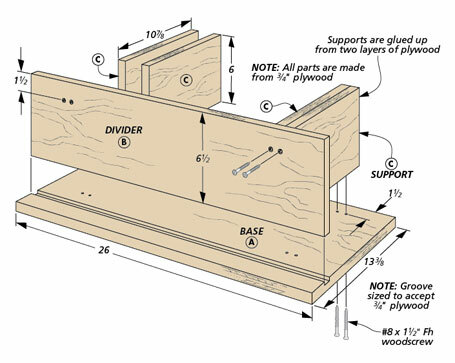 There are only a handful of parts to this bench, and the construction is straightforward. 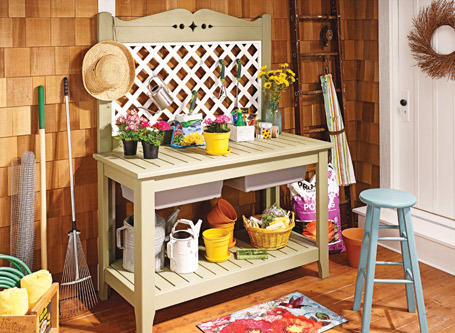 So you’ll be putting it to work in no time. Your back will thank you!